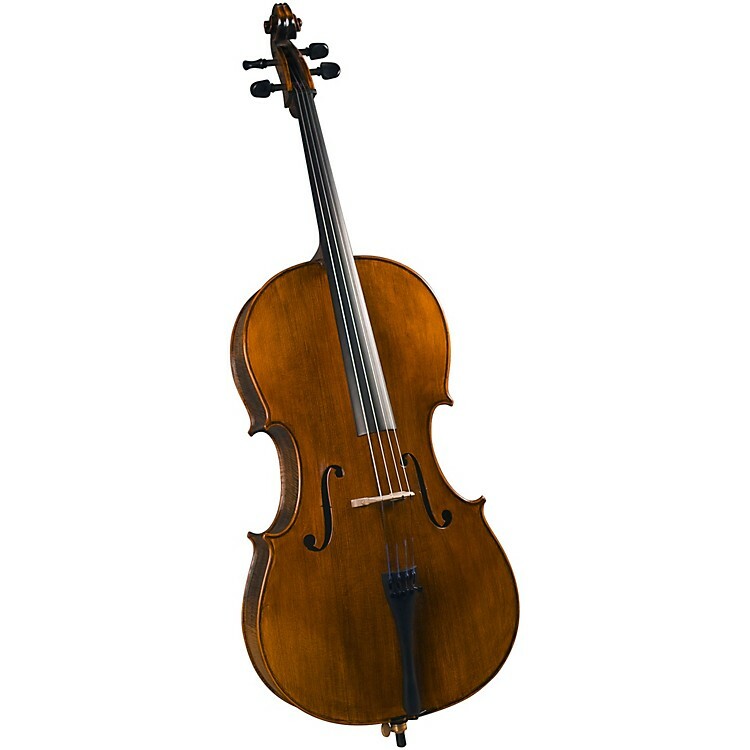 A beautiful red-brown cello for the serious student to produce rich tones. Cremona Artist Cellos set the new standard for excellence in the Educator’s Market! Lovely, well-flamed solid maple and select, close-grained solid spruce are carefully hand-carved and graduated for the ultimate in tone and physical beauty. A clear, pleasing red-brown finish gives these cellos a classy and expensive look and the genuine D’Addario Prelude strings offer a rich tone and tuning stability. A fine J. LaSalle LB-17C Premium Brazilwood Deluxe Student Cello Bow and a well-padded gig bag complete the SC-500 outfit-making it the first choice for the serious student! Encourage the serious student cellist—order soon.